Leah Tether is a scholar of medieval French literature, Arthurian romance, book history and publishing studies. She completed her PhD in Medieval Literature at Durham in 2009 and then became a Postdoctoral Research Fellow at the Cultures of the Digital Economy Institute at Anglia Ruskin University. She has a background in trade publishing, having worked at Penguin Books, and became a Lecturer in Publishing in 2010. She took up the post of MA Course Director and Senior Lecturer in Publishing at Anglia Ruskin University in 2012, and then became a Principal Lecturer in 2014. 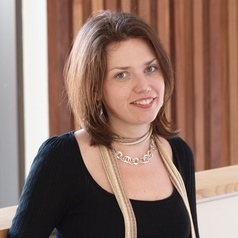 Leah joined the University of Bristol in 2015, and is the Graduate Education Director for the Faculty of Arts, as well as the Co-Director of the Centre for Medieval Studies. Her current research looks at the impact of digital cultures on literary study and reading experiences, as well as the publishing histories of Arthurian narratives. Her latest monograph, on publishing Grail literature prior to the advent of print, will be published in November 2017.